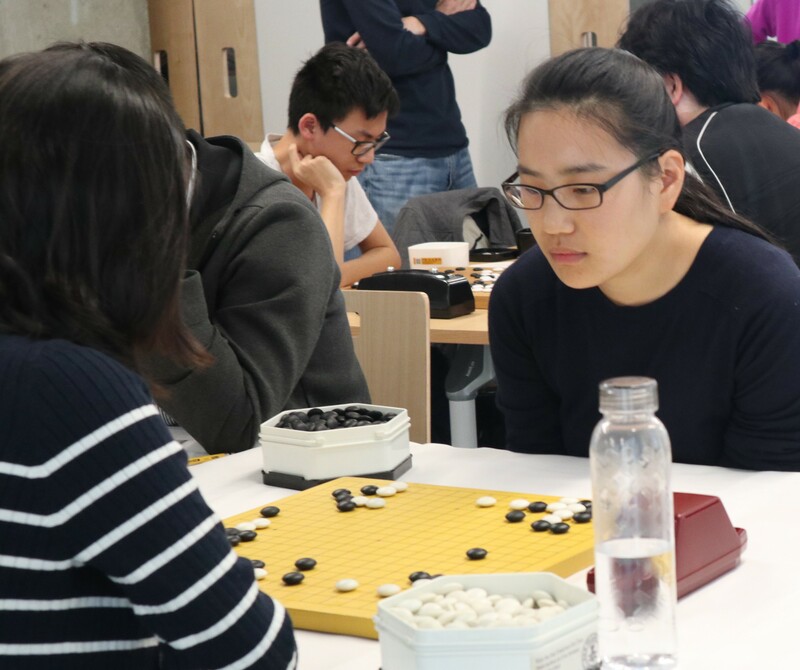 Hajin Lee 4P (right) took top honors in the 26th Jiang Zhu Jiu Ing Cup, held February 18 in San Francisco, CA. A total of 76 players competed for $3,000 in prizes at the Cup, which is sponsored annually by Ing’s Goe Foundation of California. This year’s event was held at the Google Community Space in San Francisco. The event was an exhibition of Mindfulness, hosted by Mindful Schools and included lectures on using go as a tool for Social Emotional Learning in K-8 classrooms. Robert Thomas (Executive Director of Mindful Schools) spoke on the importance of mindfulness for young students and the use of games such as go to foster well being. He was presented with a go set by Jiang Zhu Jiu at the award ceremony. Players competed for four rounds in five sections with Hajin Lee winning the top “pro” section. Prizes in each section were given to 4th place. Section winners were Shia Zu (High Dan); Brian Yang (Expert); Ryan Lear (Intermediate); Xuan Wu (Novice). Click here for results. 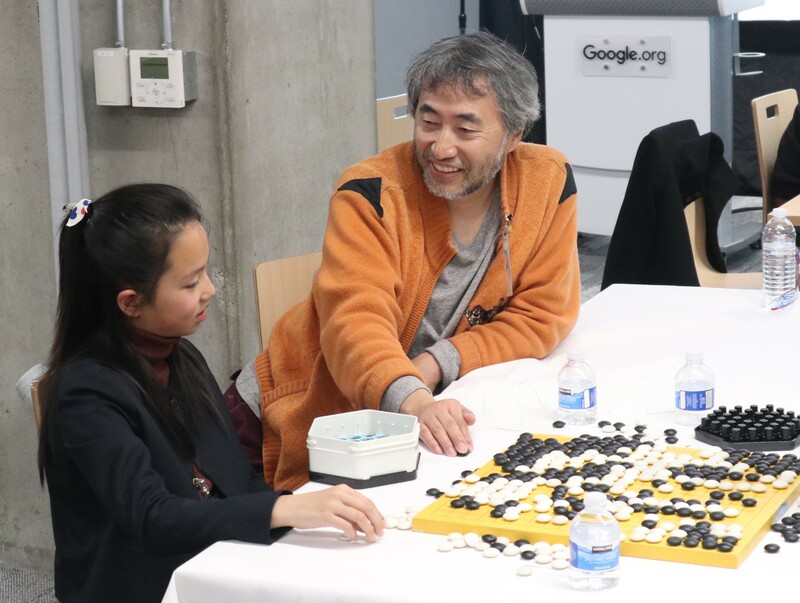 Players in attendance came from China, the Netherlands, Alabama and southern California in addition to local San Francisco Bay Area contestants. The day prior was the birthday of Jiang Zhu Jiu (above left) and the contestants gave a heart-pounding rendition of Happy Birthday at the award ceremony.